One way that new viruses can appear is if scientists create them in the laboratory. Researchers often genetically modify organisms in order to discover how things work and cause disease at a molecular level. Famously, a few years ago, researchers in the Netherlands made forms of H5N1 influenza - "bird flu" - with a 70% fatality rate and the ability to spread efficiently between mammals, including us humans, so should we be scared and should this even be allowed? Filippa Lentzos is an expert on biosecurity from King's College London and she explains to Kat what the scientists were doing. Filippa - Hi Kat. Well broadly, what these two labs were trying to do was to understand the factors that determine the ability of animal viruses to spread to humans. So what they did was to mutate the N5N1 bird flu virus to make it airborne and transmissible to mammals and, as you said, including humans. Kat - So it doesn't normally travel in the air but they made it so that it could survive in the air and get from animal to person? Filippa - Exactly right, and that mutated virus was highly virulent and as efficiently transmitted as a common cold. Kat - Now that sounds like a bad thing to be doing. Why on earth did they even want to try and do this? Filippa - Well, a lot of this is part of basic science. 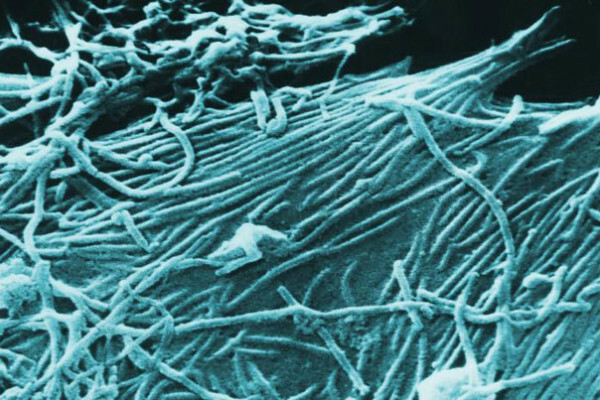 New and emerging infectious diseases are also considered some of the biggest threats to national security but we are unable to predict which specific virus subtype will trigger the next pandemic. So it's really in order to address the knowledge gap and to understand flu transmission, aid detection, prepare vaccines, that sort of thing. Kat - So effectively they were trying to make stuff in the lab that could have happened in real life to work out... okay can we figure out what these viruses might be like if they do arise in the real world out there? Filippa - Exactly right. They were trying to work out what might happen in the future and how we would then respond to that. Kat - So this does sound quite risky though. How risky is it? Is there a chance that these kind of things could escape? Almost you get the impression of a mad scientist in their lab going "I'm going to make a killer virus." What are the controls and the checks and balances here? Filippa - There certainly are a number of risks against this and enhanced viruses, as you said, could be accidentally released and they could also be intentionally released from a lab. In that sense, they would potentially expose the surrounding populations to pandemic pathogens. Kat - What are the mitigations against this? It just bothers me a little bit to know that researchers are building these things in labs. How are they protected? Filippa - No. I mean the New York Times went with the headline " An Engineered Doomsday" - this was really a big deal. The advisory body in the U.S. that was looking at this advised against publishing the methods section; they said they could go ahead and publish the experiments but they weren't allowed to publish the methods section because that might give information to people who would misuse it. Kat - Nefarious people. Then I understand that funding was stopped for this kind of research. Where are we now with attitudes towards doing and funding this kind of research? Filippa - Initially there was a self-imposed voluntary moratorium by the scientific community on this; that was lifted and work resumed in 2013. That then became entangled with safety concerns and there were a couple of high profile lab safety breaches at the time and, eventually, the U.S. government stepped in in October 2014 and pulled their funding on this gain of function research, of concern. So it was a particular subtype of gain of function research that they pulled their funding on and they started this deliberative pause and that's really what we're coming to the end of now. Kat - So there's a debate, I understand, happening in Washington this week to say - so should we do this, how do we go forward. What's going on there? Filippa - Well the debate is really about risk assessment of this gain of function work and about who should be making those assessments. Should it just be scientists, should it be their institutions, should it be funders, should it be publishers or, much more broadly, should it be regulators, vaccine manufacturers, ethicists? You know, these are big questions. Kat - Because, I guess, we've also got to balance the benefits of find out how these viruses could potentially happen and work with the risks we might accidentally cause a pandemic. So should researchers be allowed to do this? What are the things that we need to consider when deciding whether this kind of research (engineering these effectively new super-viruses) should be allowed to go ahead. Filippa - Well, there will be cases where the risks outweigh the benefits and there are experiments which simply should not be done. Kat - What kind of things would that be? Filippa - So, for instance, making ebola airborne, making influenza viruses resistant to vaccines or antivirals. So I think we need clear red lines like this and we need a regulatory framework that also applies to the military and to commercial sectors and that isn't just limited to those in receipt of NIH funds, which is the current situation in the United States. Kat - So this is like a global - okay guys do not do this kind of thing? Filippa - Absolutely! Clear red lines!